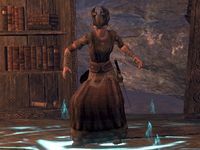 Malana is a former Nord court mage. 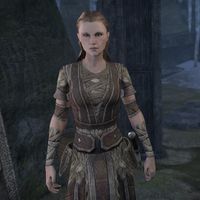 She is seeking to regain High King Jorunn's favors by banishing Lodorr, a necromancer of old resting in the Hall of the Dead of Windhelm. After you help her acquire Lodorr's Crown, she betrays you and attacks. This page was last modified on 8 September 2018, at 16:54.